La Vie en Rose for Leucan - Monsieur T.
Monsieur. T is proud to partner with Leucan to offer you a comforting infusion; La vie en rose. Because children with cancer and their families also need comfort, we will donate the proceeds from the sale of this infusion to Leucan. 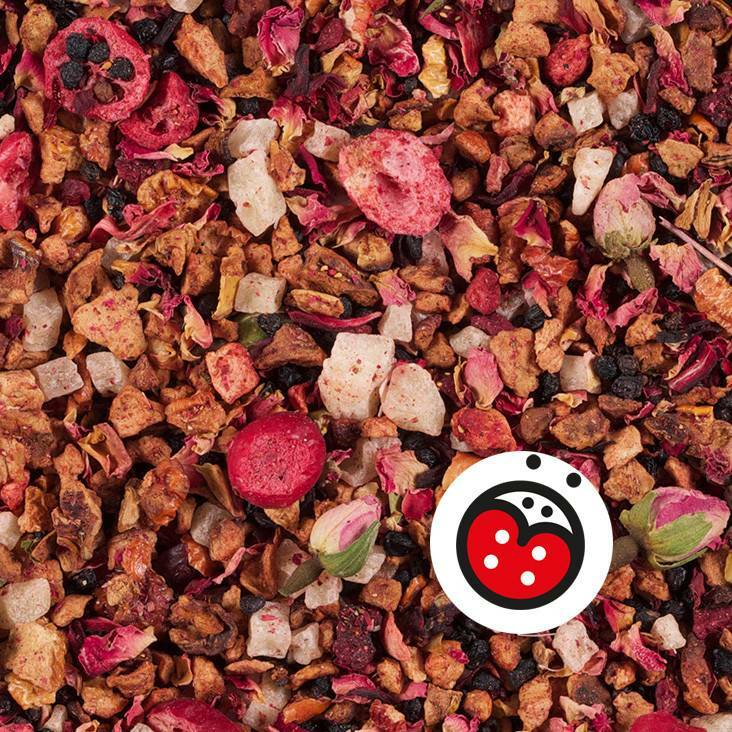 Contains: Apples, pineapple, elderberries, rose petals and buds, hibiscus, strawberries, black carrot, cherries, cranberries.